James Conner has 136 PPR points this season. That total would have been good for RB36 in 2017. That is a pretty good pace through 6 weeks, especially for a player thought to be a backup in season. An RB36 season long finish in 2017 would have put Conner behind Tarik Cohen, Isaiah Crowell, Jamaal Williams and Jay Ajayi, but ahead of Orleans Darkwa, Derrick Henry, and Rex Burkhead. If you came into the season knowing you would get a RB36 season out of Conner would you have been satisfied with season? Asking about James Conner’s final season standing is terrible process. If you read or hear someone discussing Conner in the offseason saying, “yeah, but he only finished as RB 20-something” read something else or turn the channel. The right question to ask about players, especially players like James Conner is how many wins do they add to your team? For Conner in 2018, he has added .94 wins over replacement player (WORP). Only four RBs have produced more through week 6, Gurley, Gordon, Kamara and Barkley. WORP gets to what really matters in fantasy football: winning. Final season standings are a terrible metric to measure player, because every point counts the same. Except every point should not count the same in season value calculation. For example: Would you rather take a Player A who scores 100 points in 5 weeks or Player B who score 100 points in 10 weeks? Player A is only usable for a short time frame, but has a high ceiling. On the flip side, Player B is widely usable scoring a solid floor of 10 points per game. The answer is clear: Player A. Player A has made a signficant impact in a 5 week timespan that likely has your team with a winning record. Through that period Player A has likely added you about .4 regular season wins. Those who answer Player B are missing the significant boom weeks, and the benefit of knowing when not to play Player A. They are also starting a below replacement level player with about -.3 WORP. In the 5 other weeks player A is not playing, in a worst case scenario, you start a player who averages 7 points. Instead of Player A scoring 100 points through 5 weeks, he and the replacement player score 135 points, a 35% increase over player B. Through my research that is a low estimate for a replacement player. Instead you can expect closer to 12-13 points, especially with the proper teambuild. Where a player has a concentrated level of production through 6 weeks like Conner, he has an immense impact on your team. Consider, of the RBs around RB36 finished last season, Burkhead (RB39) was the best with .42 WORP, while higher seasonal finisher Jamaal Williams (34) produced -.04 WORP. If James Conner retired tomorrow, he would have more than twice as much of an impact than Burkhead in 2017, despite playing only 6 games to Burkhead’s 10. 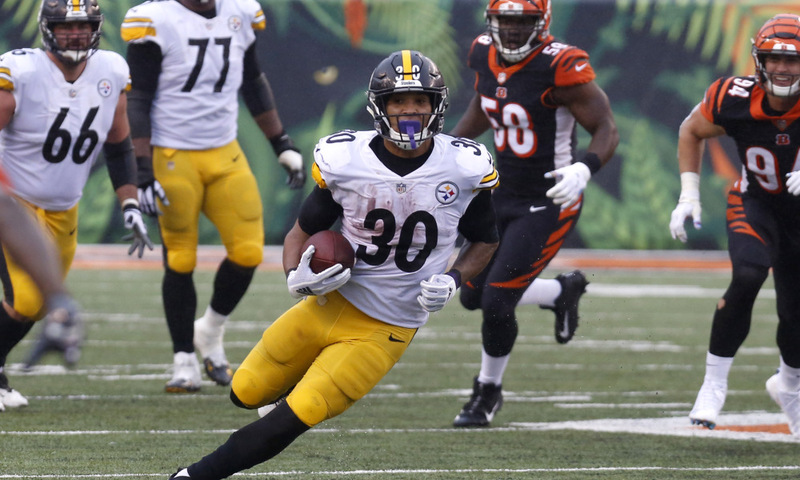 With the narrative that Le’Veon Bell is likely to come back in week 8, James Conner’s lead role looks to be closing for the time being. That presumes Bell is coming back, plays week 8, plays well, and does not get hurt. That is a lot of presumptions in an uncertain scenario. Being bullish on Conner is a good play given every risk factor points in his favor. In a worst case scenario, where Conner gets hurt and misses the rest of the season he’s still no worst than a 4th round startup pick when Bell leaves in free agency. At best, Conner is a 2nd round startup pick. With his difference making impact, you cannot sell him low, and should instead look to buy him. For comparison, no RB in the 2019 class can approach Conner’s value. Any points that you lose from Conner not playing in games this season can be replaced by Theo Riddick-types, trades, or other developments from backup RBs. 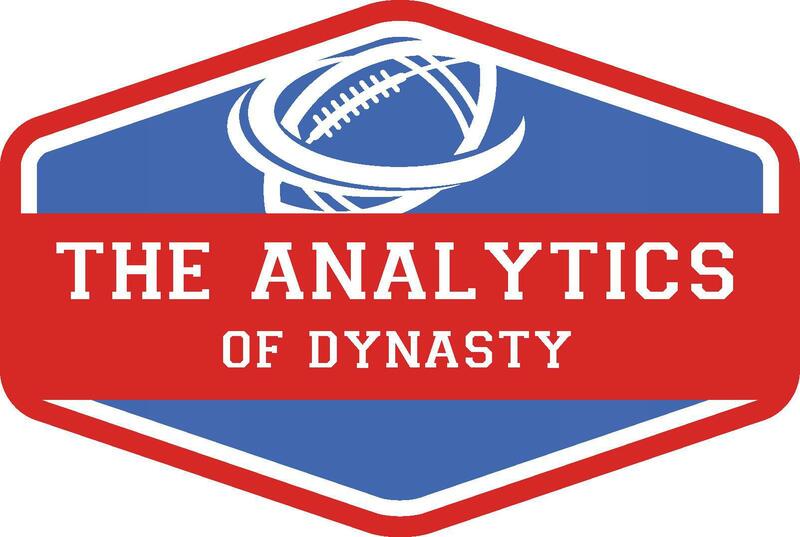 The narratives and talking points in dynasty football are easy to exploit if we look at them differently than the consensus. WORP is a great example. Loading up on “Conner type” RBs has a massive upside. It’s also highly efficient and practical inseason. My work for the book is looking a lot at WORP right now. Looking for what WORP is like in startup drafts, rookie drafts, and positionally is a highly exploitable and something unique you will find in my book. The Conner example is a classic one and is an example of the efficiencies found in my research.